Canada, 1915. The world is at war and the men are overseas. The women are a strong majority. They enter the workforce in record numbers and push their way into the world of politics. At a time when gender roles are in a state of upheaval, women fight to save a sister who has been too harshly judged for a crime long gone unpunished when perpetrated by men. This is the tale inspired by the true story of the first woman sentenced to hang in Alberta, and the women who lived in the world with her. Thy Neighbour's Wife was performed at the Theatre Centre in Toronto. Natasha Martina, Tara Beagan and Emily Oriold. Photo by Patrick Beagan. "A powerful feminist reading of the material, but the show's striking theatricality makes the piece far more than a lesson in gender issues. The impressive writing has a poetic quality. 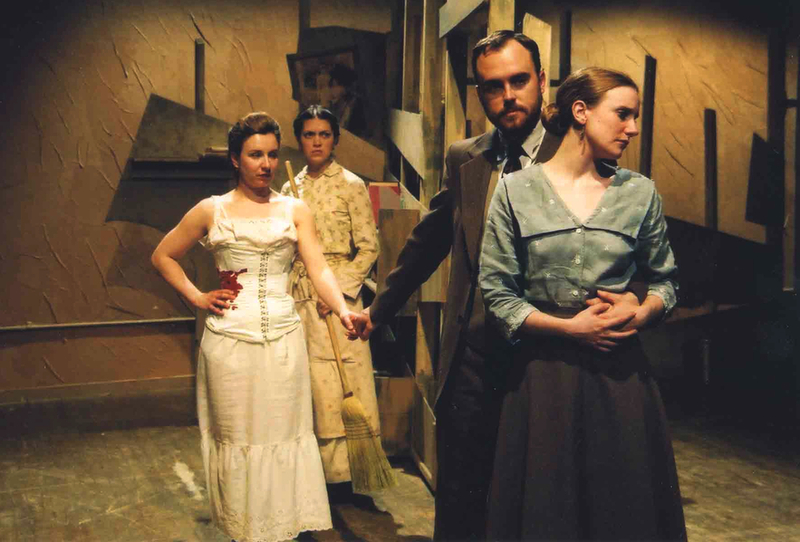 The acting is uniformely fine... An auspicious production, full of dramatic magic." "Thy Neighbour's Wife is a historical drama. But don't let the words 'historical drama' deter you; Tara Beagan's incisive and witty play is neither staid nor stuffy. 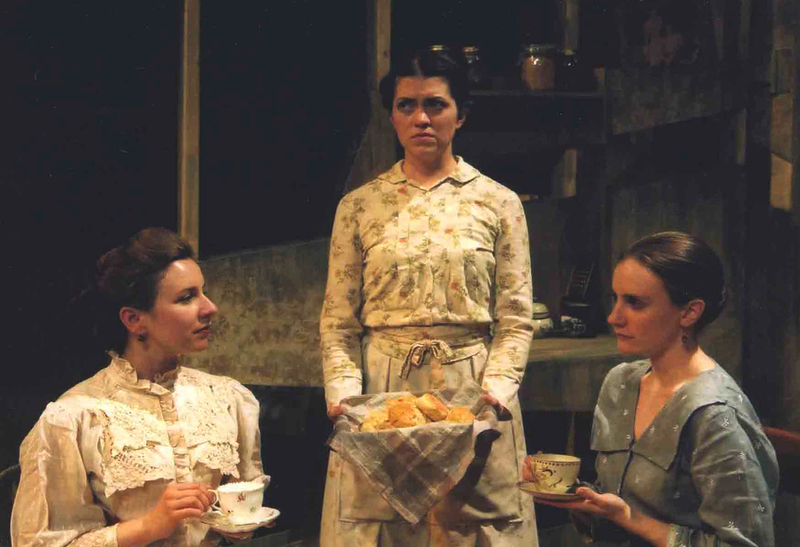 The performances are seamless and the pacing is tight, the whole narrated in the Irish lilt of Jennie's maid, played by Beagan, whose stage presence is as engaging as her writing." Natasha Martina, Tara Beagan, Chris Hanratty and Emily Oriold. Photo by Patrick Beagan.